What kind of album name is that? Just disregard it. This is some great guitar rock right here. This band has a great sound, though if their songwriting was more consistent they'd be much bigger than they are. If every song on Emotions was as good as the first, they'd be multi-platinum. The rest of the album is good, but "The Western Shore" and the next track, "Love (to be your main)" set a standard the other songs simply don't live up to. The powerful, interesting guitar chords, vocal harmonies, guest instruments, and excellent production confirm these guys as class A musicians. The second track bounces a little more and changes up more, but I like the sound of the first best. After that you get some slightly twangy stuff like "The Sun Don't Shine" and "Broken," good songs but lacking severely in the power of the first tracks. "S.S. Candycane" and its instrumental sequel fare better, and the acoustic, almost Simon & Garfunkel-y "Rust & Cyanide" is definitely a great track. Unfortunately, their closing movement, the last four songs, are simply not up to snuff - I wouldn't turn them off if they came on the radio, but they defintely are the low point of the album. 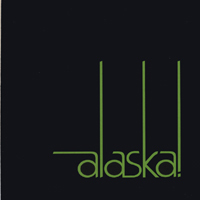 Here's "The Western Shore," by Alaska. By the way, these guys have a new album out too, so check it out, I'm still undecided on it but I've only listened to it all the way through once. Act uprightly,and despise calumny.Dirt may stick to a mud walls,but not polish＇d marble.